Luckily the results of Emma's MRI scan were all very encouraging, nothing we didn't already know about, and nothing sinister. 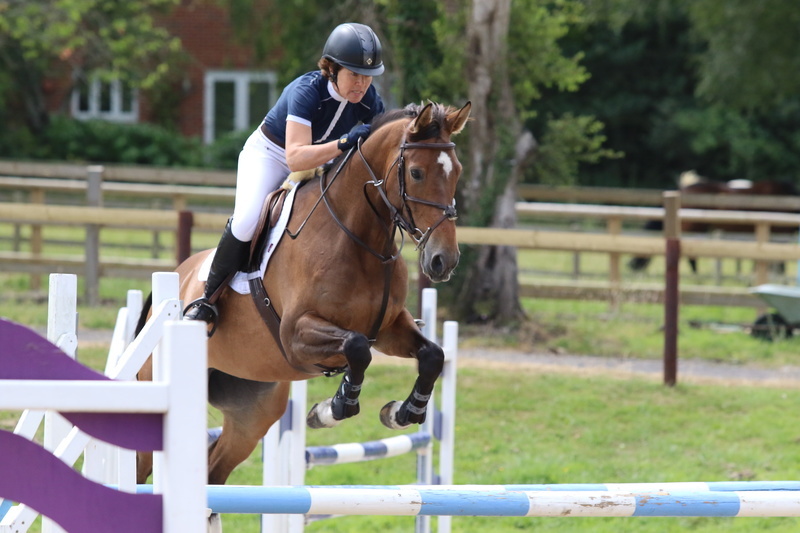 Perhaps she had a few too many shows in a row on hard ground, and so she has had a quiet time, with lots of gentle hacking, and has now had a jump and seems pretty much on track for the Royal International at Hickstead this week. Being at home has meant we had have had loads of free time, we had my sister and Ellie my eldest niece to stay on their way home to France which was absolutely lovely, and then a lovely, and altogether too rare free weekend. I took Kvint and Askeaton to Felbridge on the Tuesday. Askeaton always feels a bit green when she has had a couple of weeks without a show, but she jumped really well round the Discovery to finish 3rd, and Kvint swept round the 1.30 to finish 2nd and to give us a very profitable day. What I thought was going to be a quiet week then continued to be quite busy. I went to the funeral of my lovely friend Sally Lee's mother Hazel in Findon on Wednesday. Sally and her family had put together a beautiful service to remember a truly remarkable lady. Hazel was an actress and an artist and had the most amazing appetite for life, and was making new friends even at the end of her life. On Thursday Izzy Smith and I battled the traffic to watch Shane win the Grand Prix and the final class at CSI2* Keysoe - with absolutely perfect timing, and thank you to Keysoe for running a tiny bit late - we arrived just as Shane came into the ring on Can ya Makan! Then it was off to Pyecombe on Saturday. 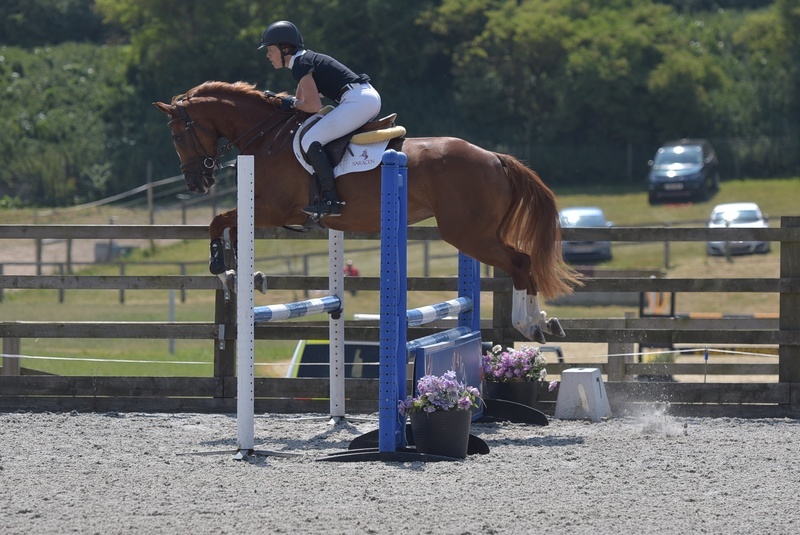 Heidi was first up in the 80cm, only her second show and the first time at a venue she hasn't schooled at. She jumped the first seven fences beautifully and then we had a serious debate about turning away from the collecting ring - round one to Heidi. Slightly sharper spurs and a few stern words and she then jumped round the 80cms and the British Novice for 4 faults in each and settled down completely. Askeaton had one down in the Discovery which was totally my fault, and Kvint surprised both me and him by having a stop in the 1.30. Luckily I just managed not to shoot over his head and he jumped the rest of the round beautifully. 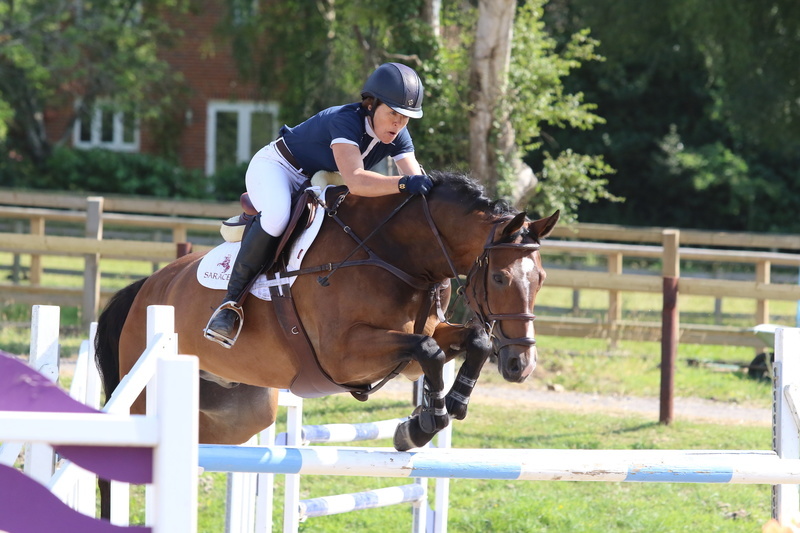 Luckily Claudia Rees who came with me managed a very much better display of riding with clear rounds in both the Discovery on Nemo and the 1.30 on Bella. 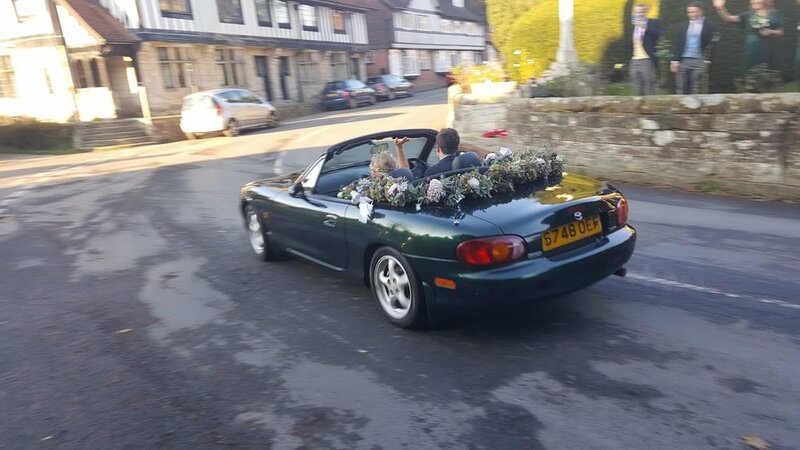 We had Sophie, Alex and his parents to lunch on Sunday so that Bridget and Simon could have a look at the wedding venue and get a good feel for the layout. Chances are the garden will look a little bit different in November than in this glorious summer heat! I managed to catch up with a lot of the Breen's website admin, which I have got very behind with, although it is surprisingly painstaking work, I am really pleased to have nearly finished and that all the videos, photos and career successes of the horses are now up to date, and that I have created a better sponsorship page. Having retrieved the lorry from the most expensive plating (MOT) ever I took Heidi, Askeaton and Kvint to Felbridge. Heidi behaved beautifully and was really unlucky to have four faults in the British Novice, Askeaton flew round her first 1.05 and Kvint had a lovely easy spin round the 1.20. 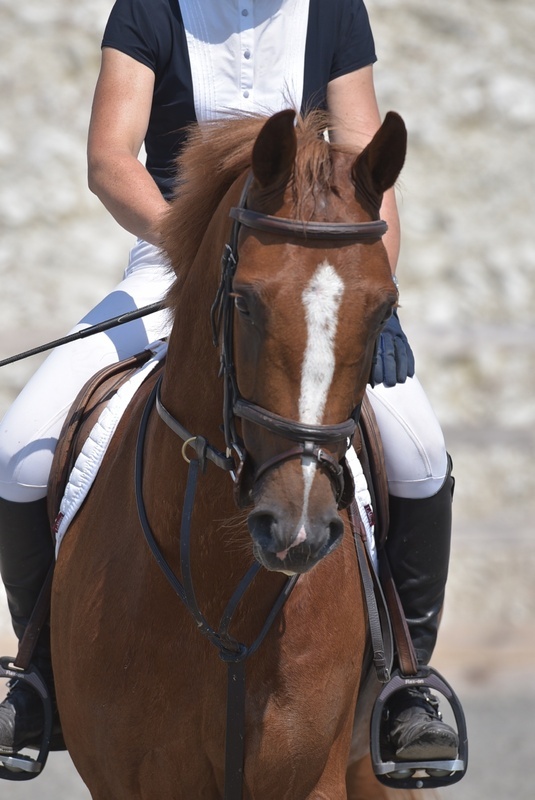 Last week was spent fine-tuning the approach to the Royal International at Hickstead, which will be followed by the CSI2* in Le Touquet for Emma and Kvint. To this effect, and with Shane being so busy at the moment, Steff and I spent Thursday afternoon at David Simpson's with Askeaton, Kvint and Emma. David was working for Shane when I first started training there, and we used to work with the young horses together, and I have the greatest respect for David's advice and his acute powers of observation, and his willingness to push me to try and ride better, be more disciplined and attend to the details. I am pretty slack in all these areas! We had a really good afternoon and the horses were super. I just love learning and riding horses - and nothing is better than combining these passions together. Especially with these horses that I have produced myself. I hot-footed it home, had a quick shower, collected Mark from the office and we then spent a lovely evening in London with Sarah-Jane Tillard and Lance and we were joined by Anna and Tom which was a huge treat. Back to reality at 6.00 the next morning, walking Twiglet in London in my breeches before returning to Sussex in time to muck out! We have had a busy, but fun weekend: a trip to Hascombe Farm with Heidi, Riri & Claudia and Vinnie & Karen for a jump on Saturday, and a trip to the gallops at Coombelands yesterday. A real time rewind back to eventing days for me. Both Kvint and Emma travelled up the gallops very easily, as did Vinnie and little Lyra with Riri making a very brave trip for a little 4 year old. I'm not sure that a trip to Mama Mia (2) counts as preparation for anything, but I can highly recommend it - even better than the first one! Hopefully we are all ready for Hickstead. It's going to be a hot one, but the work done on the going by the team there has been amazing, and with plenty of water, shade and not too much hanging about, hopefully we will have a good week. Certainly the horses should be fit and ready. Sadly having started with the funeral of a very lovely old lady, we spent this afternoon saying goodbye and giving thanks for the life of the lovely Nigel Clarkson, a great father, husband, grandfather and friend, who left us suddenly and long before his time. As always many thanks to my fabulous team headed by Mark, Steff and Camilla. We couldn't get along without such fabulous sponsors at Saracen Horse Feeds, and their invaluable advice, and wonderful MacWet gloves and Kentucky products from Just Equine. Also many thanks to Pip and Jess at Stride Management who provide great marketing help to their whole team.